Jeffrey Spivak, MD, MS, is the Director of the Hospital for Joint Diseases Spine Center. He is a board certified Orthopaedic Surgeon whose practice is limited to spinal surgery in the adolescent and adult. In addition to his medical degree from Cornell Medical College, he holds a Masters degree in Neural and Endocrine Regulation from the Massachusetts Institute of Technology (MIT). His area of clinical expertise is in the repair and reconstruction of degenerative and traumatic disorders of the spine in adults and the operative treatment of adult spinal deformity. He is an expert in the treatment of lumbar and cervical disc herniations and spinal stenosis, spondylolisthesis, and vertebral fractures. 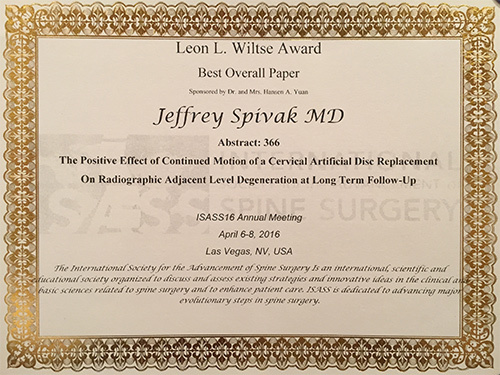 He routinely utilizes minimally invasive spinal surgical techniques where appropriate for spinal decompression, fusion, and fracture fixation. He has been involved in a number of national multicenter clinical research trials, including the SPORT study (NIH), OP-1 (Stryker)in posterolateral fusion, Coflex device (Paradigm Spine),and Prodisc Lumbar and Cervical (Synthes, principal site investigator). His research interests are in the biology of spinal fusion and newer motion sparing technologies including artificial disc replacement and posterior dynamic stabilization. 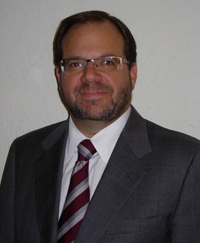 To know more about Jeffrey M. Spivak M.D. please click below links.